Trust Surgenor Barrhaven for your vehicle's maintenance! 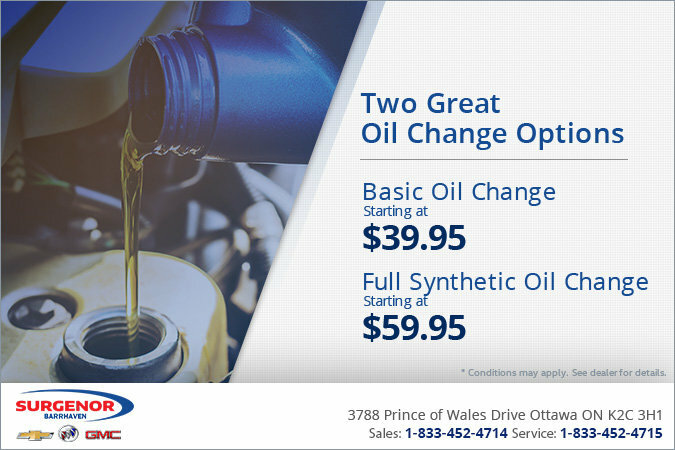 Take advantage of two low-priced oil change options! Basic oil change starting from $39.95. Full synthetic oil change starting from $59.95.